Let's look at Nature's system design of the human BRAIN optical / water molecule SYMBOL processor and the biochemistry battle data from the Sandy Hook, Connecticut molecular war zone. The human body no doubt is an amazing piece of machinery and the human brain is the most complex and important part. At birth the brain weighs 350g to 400g and for adult the average weight is 1300g to 1400g. The average human brain is of the dimension 140mm/5.5 (Width), 93mm/3.6 inch (Height) and 167mm/6.5 inch (Length). The optical color of SAND ...Nature's brain CLUE to Nature's Sandy Hook connect problem in the STATE of MIND (Connecticut) parallel to the Earth geography land/soil ..STATE of Connecticut. Here are some weird and amazing facts about the brain optical war at Sandy Hook with the Isaac Newton color prism in Newtown. Did you know that most people think that 20/20 means perfect vision, and people with 20/ 20 .... They remain properly hydrated by pulling water from the eye. Sandy Hook and their perfect, incomplete, biased, and arrogant explanation of the tragic EVENT. Let's look at some of the history of the problem .... the Watergate signal that was ignored by citizen/thinkers of Connecticut. Connecticut even ignored the television signals broadcast to them by the James Burke TV show "Connections". James Burke, the creator and host of Connections helps explains the CUT of Connecticut. because the great citizen / thinkers of Connecticut can't be bothered to think about the proper noun message word ... Connecticut. The English language optical data stream of consciousness with the white light spectrum is a SYMBOL HOUSE - the WHITE HOUSE. Light interacts with the eye/ brain processor water molecules. The biochemistry optics / water logic signal: Water gate. The English language optical data stream of consciousness with the white light spectrum is a SYMBOL HOUSE known the WHITE HOUSE. The English language of nouns, verbs, adjectives and literature combined with math and physics equations , college chemistry and biochemistry textbooks are an optical SYMBOL HOUSE with the traveling optical CITY contained in the veloCITY of light. Are you translating this photon information city accurately? Apparently not. Light interacts with the eye/ brain processor water molecules of mass 18 . The city of optical information travels at 18.6 x 10,000 miles per second to interact with eye/optical nerve to be processed by the brain water molecules of atomic mass 18. Let's look at the molecular cell biology WAR that was revealed in 1972. 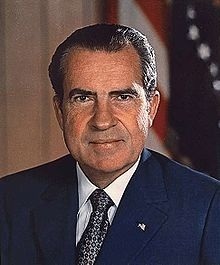 The atomic/molecular Constitution of the United States had a TRIAL of bio-physics water molecules in dermatology packaging with the EARTH LAB name: humanoid ..... and this includes YOU..
A June 1972 break-in at the headquarters of the Democratic National Committee at the Watergate office complex begins the chain of events that convulsed . 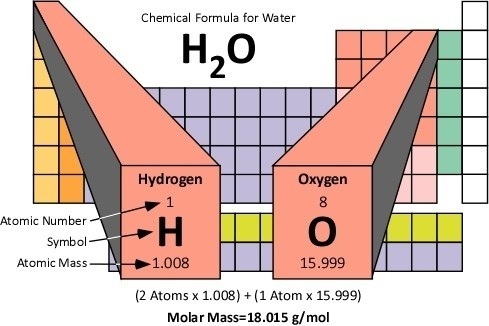 Above, we covered the water molecule factor in the biochemistry Watergate logic gate mystery. 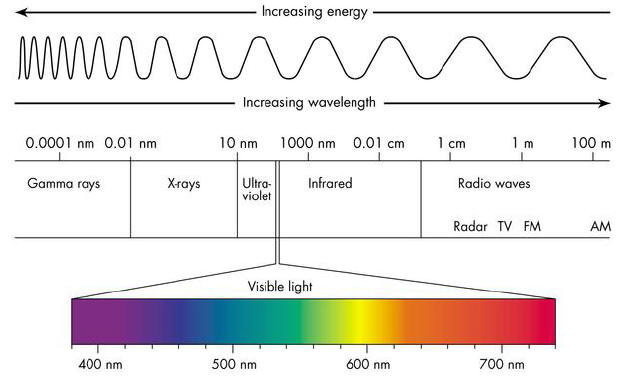 The second factor we wish to consider ...is the electromagnetic spectrum of sunlight and light bulbs used for reading math and science textbooks. What is the WHITE HOUSE? Einstrein's theory of relative views and symbolism. Jun 8, 2007 – It depends on what exactly you're measuring. What is the causes of too much oxygen in the body of human being? Thus year 1972 Watergate and the year 2012 Sandy HOOK brain connections problem in .... optical molecular processor .... STATE of MIND ... Connect interface cut (Connecticut). The Sandy Hook school ERRORS resulted in the NEWTON Prism optical battle in the optical community of Newtown. They ought learn to read and think someday ..... besides their biased usage of the English language and their citizen approval of television optical manipulators. Let's look at the atomic brain biochemistry SYMBOL MACHINE battlefield. Thus we have a few pieces to the puzzle about the serious WATERGATE logic problem of AWARENESS in Connecticut universities and at Cambridge universities .... their brain water molecule /optical processing problems ..the bio-SYMBOL MACHINE . Thus WATERGATE is a project milestone in Nature's molecule evolution. Blinkov, S.M. and Glezer, I.I. The Human Brain in Figures and Tables. A Quantitative .... 0-5 per mm3. Normal intracranial pressure = 150 - 180 mm of water ---> . NOT Normal intracranial pressure = 150 - 180 mm of watergate and the incomplete analysis of the 1972 water molecule data generating .... output message situation. 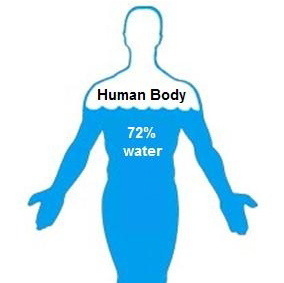 That makes sense because our bodies are composed mostly of water. The brain is 85 percent water. Water molecule .... INTERNAL brain molecular LOGIC GATE circuits and their EXTERNAL message display on the Earth geography surface VIA the humanoid illogical behavior DISPLAY EVENT known as Watergate. What are the James Burke CONNECTIONS that we ought consider? Light travels into the eye processor at 186,000 mi/sec ..... the light STOPS ..it is received ..it enters a new type of existential format. The information of the input light undergoes an information format change. Do enemy optical subroutines exist in the eye that ALTER the symbol shapes. Yes, Nature's optical military television show ... Deep Space Nine .. warns us VIA the character ODO about the English alphabet symbol SHAPE SHIFTERs ... thus the human bio-computer optical nerve battle with the Virginia TECH English department on Base 16 hexadecimal day of April 16. The brain is 85 percent water. Let's see some theory possibilities when LIGHT enters the biology optical SYMBOL processor and stops traveling at positive direction + 186,000 miles per second? The information momentum and the energy momentum of the photons STOPS and must do something. WHAT? Thus we have some concept alignment between WAVES ..... .electromagnetic waves and molecular water waves at some level. Thus we see the possibilities .....and the WATERGATE optics signal of the Washington Post newspaper and their incomplete reports about Watergate. Thus you have a few pieces to the puzzle about the more TRUE NATURE of the underlying reality of the WATERGATE signaling event. Handedness and the Brain the brain is split into two roughly similar hemispheres, separated by the deep longitudinal fissure. 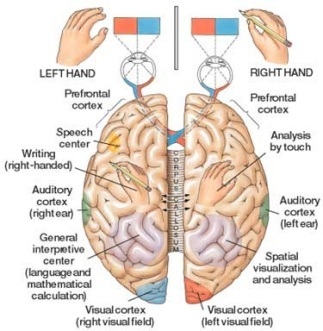 Also well-known is that the brain is "cross-wired”, with the left hemisphere controlling movement on the right side of the body, and the right hemisphere controlling the left side of the body. 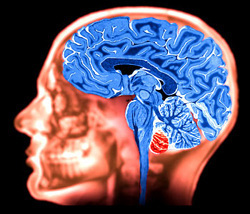 Most, but not all, of the different structures, lobes and organs of the brain have a left and right hemisphere element, and communication between the hemispheres is achieved by means of a thick bundle of nerve tissues known as the corpus callosum, which effectively makes a full brain out of two half-brains. nerve tissues known as (the BULL-Story nerve) nerve .... corpus callosum, which effectively makes a full brain out of two half-brains. Thus we see the periodic atomic table and the water molecule ....VIA the modern Margaret Mead atomic nuclear family and atomic political science VIA humanoid SYMBOL expression vehicles. The people at Sandy Hook and their friends at East Coast universities have superior intelligence over and all things in existence. The universe exists to serve their whims and desires ...which includes their desire to manipulate and attack the Central Nervosu System 370 abstract brain symbol processor by using FCC television optical tricks and optical brain instructions to program Nature's human bio-computer to their perfect version of social science intellectual nonsense. Thus we see pieces to a puzzle about Nature's human process control systems with the Watergate and Sandy Hook feedback ERROR signal ..... message that we ought try to understand.